Did someone forget to do something? 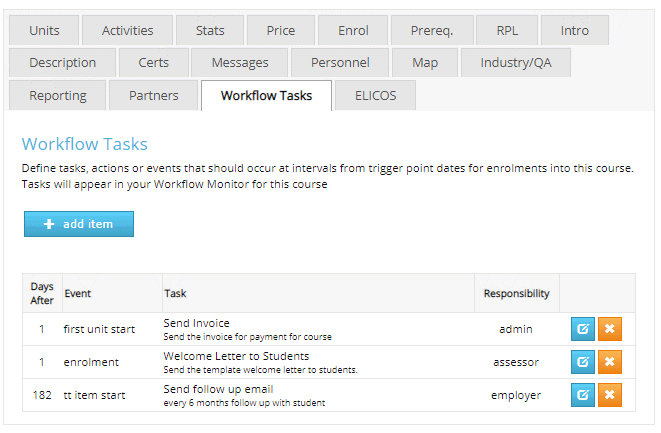 Triggers can be added to specific points of time or activities such as X Days after enrolment to ensure the relevant personnal can action the tasks. Colour coded current and overdue dates are clearly displayed. Your administrators can oversee all tasks on the admin dashboard also. 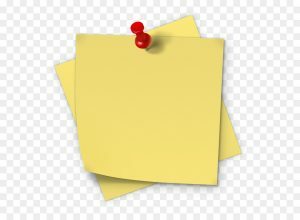 The Workflow Task Manager allows you to add notes at the timetable level, as well as attach files relevant to the person responsible. Allow your task owners to completed tasks and maintain control of tasks across your organisation from your administration dashboard with drill-down functionality to see tasks at the Timetable level.